A good friend’s son recently announced on Facebook that he was getting braces. I had braces, too. 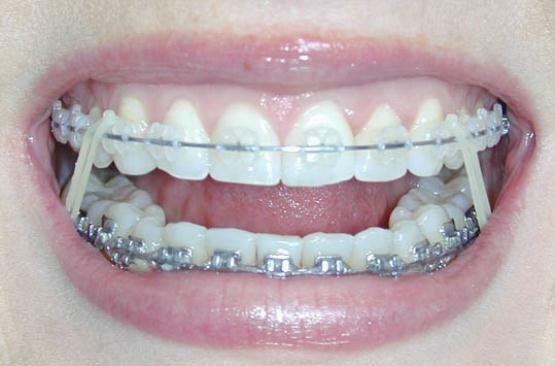 In fact, my mother had three kids in braces (and would have had four if my oldest brother hadn’t conveniently knocked out his front teeth in a bicycle accident and required more drastic measures). Of all the gifts my mother gave me in life — and there were too many to list here — I look back on those two years in braces with much love and gratitude. I know they were costly, especially multiplied by three. But what an investment they were for our future health and happiness. Plus, since the orthodontist was in Paducah, Kentucky — a 30-minute drive from my hometown — the monthly check-ups meant missing a half-day of school. Oh, how I loved those trips with Mom! We’d get the dental appointment out of the way, then go shopping or eat. And she’d always made sure there was a treat I could eat (since so much was nixed by my mouth full of metal). So, I hope my friend can appreciate his time ‘under the wire.’ Thanks to my mom, it put the smile on my face. This entry was posted in Beauty, Children, Commentary, Family, Fashion, Health, Holiday, Humor, Life, Relationships and tagged beauty, bicycle accident, brother, children, commentary, dental appointment, Facebook, Facebook status updates, family, Fashion, front teeth, Health, Holiday, Humor, life, metal mouth, monthly checkup, mother, mother's day, orthodontist, Paducah Kentucky, Relationships, smile, under the wire. Bookmark the permalink. Now, it’s 12 days! Getting closer. I can eat more than soup and pudding, and lithp ith thtarting to thlowly dithappear. Thanks for reminding me of the reward of metal in my mouth.